Please join me for yoga and meditations on Christ. This is a 6-week gentle yoga series (women of all ages/stages/abilities welcome) to connect with your heart as you move and breathe in Spirit and Truth. 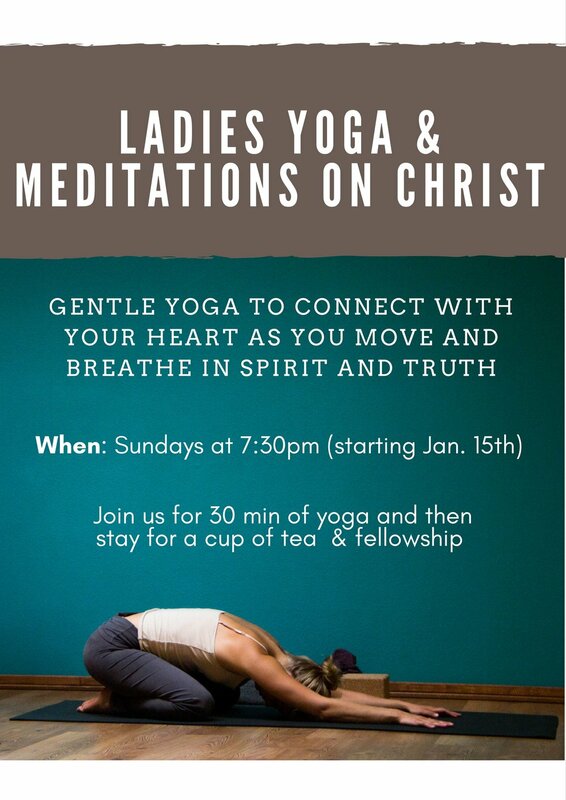 We will meet for about 30 minutes of video-guided worshipful, Christ-centered yoga. Then feel free to hang around after for a cup of tea and fellowship. Whether you are pregnant or not, this is for YOU! Location: Message me for address and to let me know you'll be coming! Bring a water bottle, your yoga mat if you have one, and a scarf or belt/strap. Don't worry, I have a few extra mats if you don't have one!